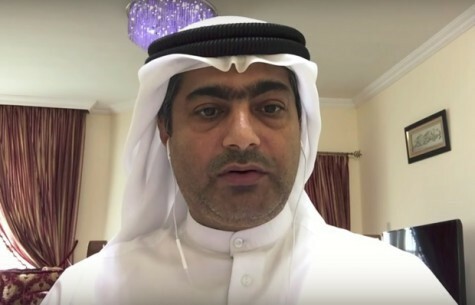 Prominent human rights defender Ahmed Mansoor has been brought to trial in the United Arab Emirates (UAE), after more than a year in detention without charge. Join the campaign to #FreeAhmed in advance of his next court date, believed to be on 09 May 2018, according to local media reports. Mansoor, who was arrested on 20 March 2017, has been languishing in an unknown place of detention. Mansoor, a member of GCHR’s Advisory Board and the winner of the prestigious Martin Ennals Award for Human Rights Defenders in 2015, is the most prominent human rights defenders from the UAE. GCHR still has no information about which prison or detention centre the authorities are detaining Mansoor in. In February 2018, the authorities denied any knowledge of his place of detention to two Dublin-based lawyers who went on a mission to the UAE on behalf of GCHR and its partners to locate Mansoor and represent him as his legal team. GCHR is concerned about Ahmed Mansoor, Osama Al-Najjar, Dr. Nasser Bin Ghaith and other detained human rights defenders who have faced poor treatment, including being held in arbitrary detention and solitary confinement for long periods of time before being brought to trial, contrary to international human rights law. ● Pending his release, ensure that Ahmed Mansoor is treated in line with the UN Standard Minimum Rules for the Treatment of Prisoners, including by giving him regular access to his family, as well as to any medical care he may require.